Getting around London it’s easy and cheaper when London Public Transport is serving you. 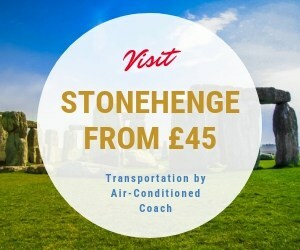 Getting around London– Each year a huge number of people travelling to London in order to explore the top tourist desired destinations for excellent reasons. Whether or not you are going to see a show in the West End, visit the historical sights or are beginning a new job in London, the first thing you need to know is how to find your way and getting around London. The city is huge and as a result, travelling is part of an everyday lifestyle for Londoners. How to get around London? London has a wide range of options for your visit to London. This is including a superb public transport system. TFL or Transport for London has responsibility for the transportation system. the London Underground, the Docklands Light Train (DLR), the London Overground, London Buses and various other transportation alternatives. in addition, streets in London are fairly covered by signposted and that’s why many choose to walk or use bicycles. London Underground, well-known as the Tube, provides 11 lines (Bakerloo, Central, Hammersmith & City, District, Circle, Metropolitan, Jubilee and Northern Line) spread over 400km which is serving the 270 Tube stations. This is the world’s oldest and largest underground train networking. The Tube manages to serve approximately 5 million travellers every day. Mondays to Friday most of the lines start the services from 5 am to midnight. You should be expecting the reduced services for Sundays. Which tube lines run 24 hours? Central line – trains operate and run around each and every 5 to 10 minutes between White City and Leytonstone as well as roughly each and every 20 mins in between Ealing Broadway to White City also Leytonstone to Loughton/ Hainault. there are no services among North Acton and Ruislip. Northern line The Northern line rains operate around every 8 mins from Morden to Camden Town as well as roughly each and every 15 mins from Camden Town to High Barnet and Edgware.Absolutely no service between Mill Hill East as well as Bank tube station. Piccadilly line also offers 24 hours services and every 5 to 10 mins they have services which are running between Heathrow T5 and Cockfosters. The service from acton to Uxbridge is not available. Transport for London is managing the Bus routes as well. This is one of the largest bus networks in Europe. It has over 8500 different buses serving London from over 50 bus station. Therefore, there is absolutely no pressure waiting for the buses in London, as they are very reliable. 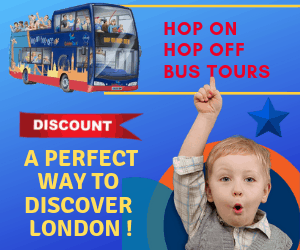 Travel in London is hassle-free with the London bus network to get to your destination. The London Red Buses are available 24 hrs a day in any street or main roads in the city. However, there is a reduced service after midnight and the number of buses will be less every hour. After midnight, the cost for underground considered as off-peak. For using after midnight you have to have a valid Travelcard in case of not using Oyster Card or countless card. Ease of access for evening or night Tube matches the daytime service. TfL works with a contactless pay-as-you-go method that is less expensive than buying papers tickets on almost all services. The London Buses don’t accept cash payment. Just contactless types of transaction enable you to make travels using the buses. The whole London Transport map is divided into 9 zones. But Zone one is in central and the zones spreading out from the centre. If you travel with underground and need to go to other zones extra charges apply. However, with London Red Buses the price of a short or long journey is the same. Oyster cards are simply one of the cheapest choices for getting around London, and the best benefit is that the card only costs £5 (that will be given back when you return the card). They could be used on the actual National Rail, London Overground, Underground, buses, Docklands Light Railway as well as Tramlink services. TfL supplies a useful Journey Planner along with a Cost Finder upon the website.